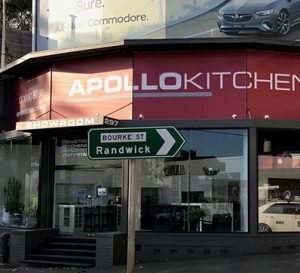 residential or commercial needs, look no further than Apollo Kitchens. Visit our showrooms in Sydney, Newcastle and Central Coast. 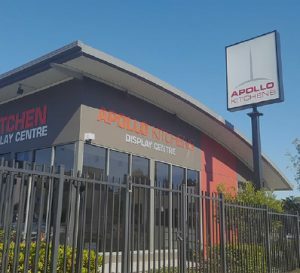 Here at Apollo Kitchens, we are proud to showcase our designs. 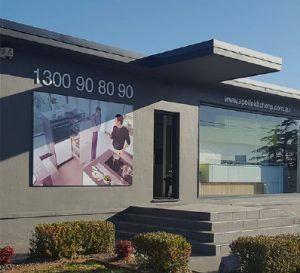 You can view our successful and unique work in our portfolio, or you can personally visit one of the kitchen showrooms we maintain in NSW. If you would like to better see our innovative work first-hand, we have four showrooms conveniently on the NSW coast. These showrooms are located in Sydney, Western Sydney, Newcastle and Central Coast. By visiting one of our kitchen showrooms, you can truly appreciate the scope of our design. Whether it be the layout of the kitchen, use of modern appliances, or kitchen cabinets, you’ll be able to get a very good impression of the capabilities of our award-winning team of designers. In these showrooms, you will have the opportunity to enquire further about our services with our friendly staff. Information such as materials used and design choices is available upon request. It is always our aim to be as informative as possible when discussing our kitchens and to provide the best possible customer service. Our showrooms are open Monday to Friday from 9:00 am until 5:00 pm, and Saturday from 9:00 am until 3:00 pm. There’s no need to book ahead — one of our friendly and knowledgeable staff will be ready to show you around and demonstrate our beautiful kitchen designs and services. We make it easy to transform your kitchen space. If you want to chat with one of our designers to discuss your upcoming project, you can very easily book an appointment with us. Together we can envision the perfect modern kitchen for you — one that not only hits the right aesthetic notes, but also caters to your specific needs. This service also applies for commercial clients including architects, surveyors and builders in the form of a pre-development consulting service. 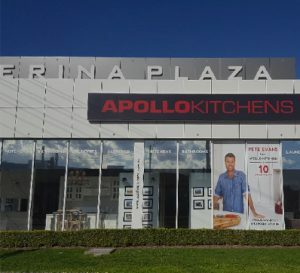 Apollo Kitchens can devise a no-obligation quote for producing kitchens in a cost-effective, high-quality manner. If you have any questions or queries about our services or designs, we would love to hear from you. You can easily get in touch with us through our online contact form. After receiving your message, you can rest assured that we’ll get back to you as soon as possible. Don’t wait any longer to have the kitchen of your dreams. Contact us to transform your kitchen into a space of function and beauty today.